We here at Bill Dube Ford know tuition and books are expensive. That is why Ford developed the College Student Purchase Program. 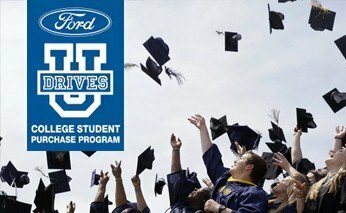 College students and recent graduates are eligible for a $500 incentive, plus our best available rates through Ford Credit when you purchase or lease a new Ford vehicle. Even if you are not a Math major, you can take advantage of this great offer! Please contact the dealership with any questions regarding eligibility.